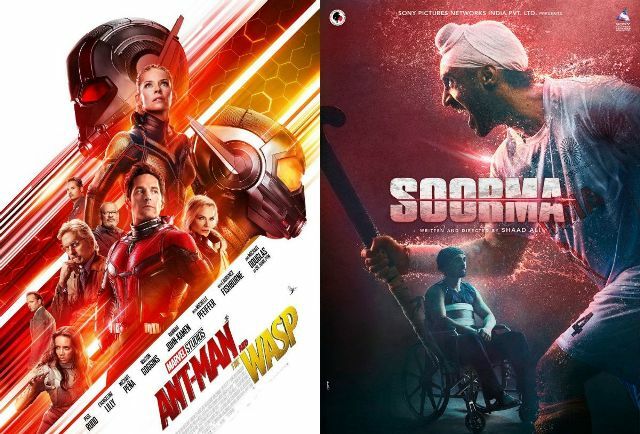 The new offerings of this week, Hindi sports biopic Soorma & American action sci-fi Ant-Man And The Wasp have passed their opening weekend on an overall decent note. As half a month back released Sanju is still reigning the box office, both new movies faced a heavy competition. 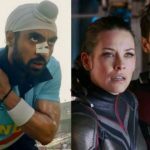 Based on the greatest comeback story legendary Hockey player Sandeep Singh, Soorma is directed by Shaadi Ali and received almost positive reviews from the critics as well as the audience. But still, it got failed to witness the expected response at the box office. Starring Diljit Dosanjh and Taapsee Pannu in lead roles, Soorma opened on a decent note and reported the business of total 13.85 crores in the first weekend, that included 3.20 crores of Friday, 5.05 crores of Saturday, and 5.60 crores of Sunday from 1100 screens across India. Now the Sony Pictures Networks Productions’ presentation has entered on weekdays and as usual recorded an abrupt drop in footfalls. On Monday, it got dropped by 37.50% and minted the amount of 2 crores. With this, its 4 days total collection has become 15.85 crores. 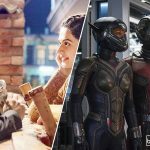 On the other hand, the second installment of successful Hollywood franchise Ant-Man, Ant-Man And The Wasp has also received a positive response from the Indian audience. After a good start, it remained steady throughout the opening weekend and collected 19.30 crores with 5.50 crores on Friday, 7 crores on Saturday & 6.80 crores on Sunday. 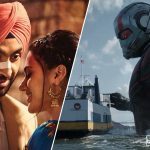 Then on Monday, Marvel Studios’ latest presentation faced a drop of 54.55% than Friday and bagged the amount of 2.50 crores. With this, the total collection of Ant-Man And The Wasp after 4 days has become 21.80 crores nett (27.95 crores gross) from 1300 screens nationwide.